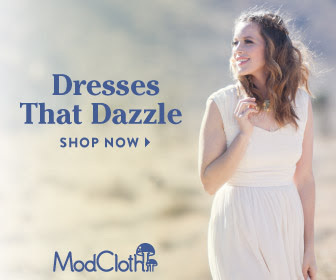 Sweet Cheeks Adventures: ModCloth's Wedding Collection! Attention, wedding belles and gorgeous guests -- you're cordially invited to explore ModCloth's exquisite wedding collection! Fall in love with dreamy dresses and outfit finishers perfect for brides, bridesmaids, and attendees eager to express their unique perspective on style. And don't forget -- we want to see the fab ModCloth look you put together! Use #marriedinmodcloth to share your inspiring ensemble with the rest of the ModCloth community. There are such great products waiting for you at ModCloth! Head on over and check out all they have to offer!